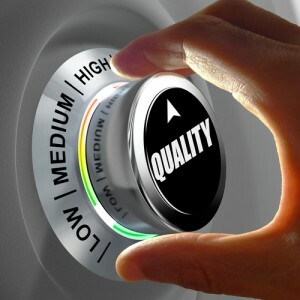 Exceptional quality assurance (QA) is the key to any successful call center. It ensures that your customer receive a consistently great experience, that your business is positively and enthusiastically represented, and can be used to help fine-tune procedures for the future. It can also be tricky to implement good QA because of the unpredictable nature of a call center. The following are a few ways Customer Elation excels in call center quality assurance. Recording each customer’s experience is critical to maintaining quality within your call center. The vast majority of call center transactions go smoothly, but when things do go sour, it can be extremely helpful for management to be able to provide a third-party perspective. Customer Elation is unique in that the vast majority of call centers do not provide corporate account management. This unique offering provides our clients with the benefit of their own representative and point-of-contact who also oversees revenue and sales goals, budgeting, and strategy as outlined by your organization. Rather than communicating with various agents or floor managers, having a corporate supervisor enables high-level oversight of your customer service goals. It’s crucial to hire call center agents that have a good attitude, a willingness to learn, active listening skills, and great customer service ability right from the get-go. A lot of things can be taught, but many of the previously mentioned skills cannot be — hiring great agents sets up our call centers for success. Any quality call center succeeds by teaching and enforcing expectations and good workplace behavior from the beginning. By equipping our call center agents with the know-how to best help every customer, we improve overall quality and prevent problems from popping up in the future. Dedicated agents are trained on the intimate details of your organization, and get to know your customers like their very own. Gathering customer feedback can be an extremely helpful QA tactic, but call center agent feedback can be equally enlightening. Aggregating customer feedback, as well as providing an avenue for agents to provide their own insights about procedures can be an excellent way to improve call center strategies. The above guidelines are just a taste of what sets Customer Elation apart in providing above-and-beyond quality assurance. Partnering with us ensures that your calls are not just managed, but that your call management expectations are exceeded.